The imprint of Hasidism and Hasidic tales in modern Jewish literature has already received some attention from scholars, and the literary significance of Hasidic mamarim and other mystical texts has also been noted. This paper seeks to take the interdisciplinary study of Hasidism and modern Jewish literature one step further, tracing some of the ways that Chabad Hasidism’s internal tradition of “literary mysticism” has intervened in the broader trajectory of modern Jewish literature. 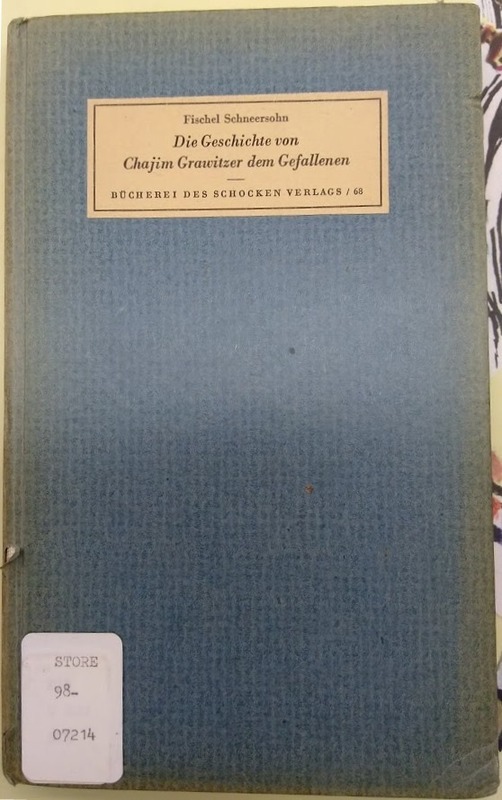 My first task in this paper is to trace internal developments in the Chabad literary tradition over the course of the nineteenthth century, and to demonstrate how this internal trajectory was given broader expression in Khayim gravitser, a Yiddish novel by Dr. Fishl Schneersohn of Rechytsa, Berlin, and Tel Aviv (1888-1958). 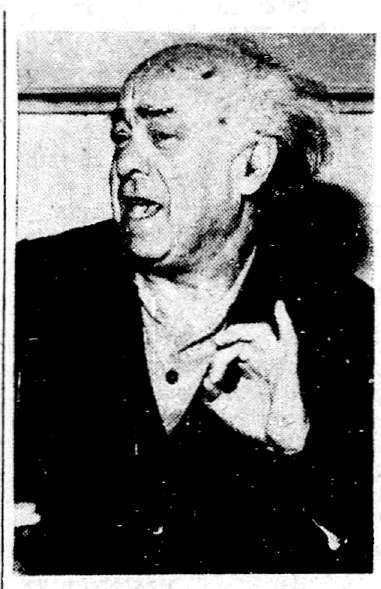 The second part of this paper takes a closer look at the Hebrew poet Avraham Shlonsky (1900-1973), who translated Schneersohn’s novel from the original Yiddish, and at the ways that the novel’s title character might be seen as an avatar for Shlonsky’s own self-identification as a Hasidic rebel, traveling between opposing shores. Taken as a whole, this paper aims to complicate the neat chronology that bifurcates modern Jewish literature from its Hasidic roots, and show that both Schneersohn and Shlonsky actually continued the Hasidic literary tradition of Chabad even as they embraced alternative literary forms in the cause of new agendas. This paper began as a contribution to a seminar organized at the 2017 AJS conference by Yitzhak Lewis, which explored the imprint of Hasidic writing on modern Jewish literary production. I would like to thank him and the other participants, as well as the editors of In geveb - Madeleine Cohen and Jessica Kirzane - and also the peer reviewers, for providing the honest and clear criticism that enabled me to turn it into a finished piece. 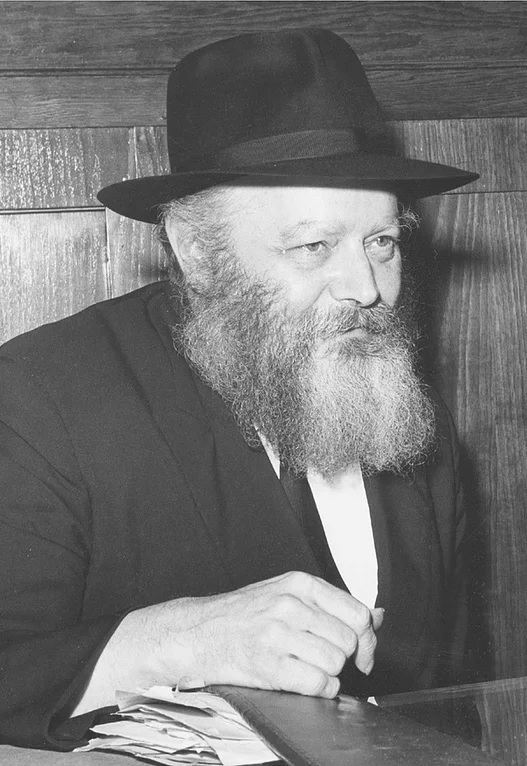 In 1981 the late scholar and hasid Yehoshua Mondshine published an article titled “Chabad Motifs in Shmuel Yosef Agnon’s ‘The Banished’.” 1 1 Yehoshua D. Levanon, “Motivim Chabadiyim be“hanidaḥ” lesh”i agnon,” in Bikoret uparashanut 16 (February 1981): 135-155. Mondshine routinely used the pseudonym “Levanon” for work intended for academic publications. Following Mondshine’s persuasive reading, the key passage in Agnon’s tale is a statement given by the “zaken,” who is none other than the “Admor Hazaken” or “Alter Rebbe” of Chabad, R. Schneur Zalman of Liadi (1745-1813): “Master of the world! I forego all that you have in your world, your Garden of Eden and even the gates of light. I cede all to you, master of the world. I desire only you, you alone!” 2 2 Shmuel Yosef Agnon, Kol sipurav shel shmuel yosef agnon, Vol. 2, Elu ve’elu (Jerusalem: Schocken, 1998), 44. On the widespread attribution of this statement to R. Schneur Zalman of Liadi in Chabad sources see, most notably, R. Menachem Mendel Schneersohn (the Tsemakh Tsedek), “Shoresh mitsvat hatefilah,” Section 40, in Derekh mitsvotekhah (Revised Edition, Brooklyn, NY: Kehot Publication Society, 1991), 275 [138a]; R. Menachem Mendel Schneerson, Hayom yom (Brooklyn, NY: Kehot Publication Society, 1943), 113 (entry for the 18th of Kislev). See also Mondshine, “Motivim Chabadiyim,” notes 26 and 27. “The Banished” (Hanidakh) is a tale of Hasidic vengeance, in which the grandson of the avowed mitnaged (“opponent” of Hasidism) Avigdor internalizes the sentiment of Chabad’s founder, ultimately experiencing an “ascent of the soul,” a mystical and literal death, as “with terrific passion and awesome might” (בהתלהבות איומה ובגבורה נוראה) he declaims the passage in the Song of Songs, “draw me, we will run after you; the king brought me to his chambers.” (Song of Songs, 1:4.) As Agnon put it, “his soul was emitted with his speech.” 3 3 Agnon, Elu ve’elu, 45. While other scholars have also paid attention to Hasidic motifs in Agnon’s literary oeuvre, for the most part this was not understood as symptomatic of Hasidism as a literary force, nor of the importance of Hasidism for modern Jewish literature more generally. 4 4 For more on the Hasidic influence on Agnon see Gedaliah Nigal, Shi”i agnon umekorotav haḥasidiyim: iyun be’arba’ah misipurav (Ramat Gan: The Kurzweil Institute, Bar Ilan University, 1983) [Hebrew]. Recent scholarship has nevertheless begun to challenge the tendency to represent modern Hebrew literature as emerging in “a straight line” from the Haskalah movement, and also the tendency to dismiss the literary quality of Hasidic writing. Ken Frieden and Lily Kahn, for example, have both looked anew at Hasidic literary forms; Frieden has argued that Hasidic writers and the Yiddish language both contributed to modern Hebrew style; 5 5 Ken Frieden, “Neglected Origins of Modern Hebrew Prose: Hasidic and Maskilic Travel Narratives,” AJS Review 33(1) (2009), 3-6; idem., “Innovation by Translation: Yiddish and Hasidic Hebrew in Literary History,” in Justin Cammy et al (eds. ), Arguing the Modern Jewish Canon: Essays on Literature and Culture in Honor of Ruth R. Wisse (Cambridge, Mass. :Center for Jewish Studies, Harvard University, 2008), 417-425. Kahn has demonstrated that biblical forms actually comprise “a substantial component” of Hasidic grammar, in tandem and in fusion with rabbinic and Yiddish forms. 6 6 Lily Kahn, A Grammar of the Eastern European Hasidic Hebrew Tale (Leiden and Boston: Brill, 2015), 4-7. The essay weaves disparate social, political, and religious realities together into a picture that commands assent, if it is successful, and changes the nature of what is experienced going forward. But this perceptual change also brings emotional and subjective factors into play, like the valorization of “brokenness” and the sorrow that accompanies ritual practice in a broken, post-khurbn world. Furthermore, it cannot be emphasized strongly enough that in this context, the literary production of affect is meant not just to change the way people feel about the world, but also to effect change directly upon the world and cosmos. 9 9Ibid., 419. The delivery, study, and repetition of such mamarim by the successive rebbes and their hasidim was fundamental to Chabad’s trajectory as an intellectual and social movement. Seeman reminds us that mamarim of this kind are “the norm rather than the exception in Hasidic literature” noting that they seek “to “enlighten” the world literally as well as ﬁguratively, and to bring real salvation.” 10 10Ibid., 420. A more recent and more substantive contribution to the study of the textualized teachings of Hasidism that is especially notable for its literary approach is Ora Wiskind Elper’s monograph, Hasidic Commentary on the Torah. 11 11 Ora Wiskind-Elper, Hasidic Commentary on the Torah (London: The Littman Library of Jewish Civilization, 2018). It is important to note, however, that these studies do very little to probe the interface between the internal literary tradition of Hasidism and the development of modern Jewish literature more generally. It transpires that some scholars have looked at the imprint of Hasidism and Hasidic tales in modern Jewish literature, and other have looked at the literary significance of Hasidic teachings. Yet the ways in which Hasidism’s internal tradition of “literary mysticism” has intervened in the broader trajectory of modern Jewish literature remains all but unexplored. An important exception to this rule is Alyssa Masor’s work on the rise of the “literary neo-hasid.” She devotes one chapter to Dr. Fishl Schneersohn of Gomel, Berlin, and Tel Aviv (1888-1958), and to the intersections of Chabad thought and psychological work in his Yiddish novel, Khayim gravitser. 12 12 Alyssa Masor, The Evolution of the Literary Neo-Hasid (PhD thesis, Columbia University, 2011), Chapter 4. We should note, however, that Masor only deals with parts one, two, and three of the novel, and not with the fourth part, which is not readily available in the original Yiddish. But Masor does not contextualize Schneersohn’s work in the wider context of Hasidic literary history, nor does she pay attention to the afterlife of his Yiddish novel in a celebrated Hebrew translation. 13 13 The first iteration of Khayim gravitser was published in Berlin in 1922, in separate Yiddish and German editions. But it only included the first of its four parts. The second and third parts were published in 1926, also in Berlin. The fourth part was serialized in the New York paper Der morgen zhurnal in the years 1937 and 1938, but was never compiled into a single volume. Some parts, including the epilogue, remain in manuscript and have never been published in their original Yiddish form. The Hebrew translation was serialized in the Tel Aviv paper Hatsopheh, in the years 1938-40, and published in its complete form as a single volume in 1940, 1956 and 2013. For the sake of convenience all references in this paper will be to the 2013 edition, accept for longer excerpts where I include and cite the original Yiddish. Other than these exceptions my translations are also primarily based on the Hebrew edition. For the most part the differences between the Hebrew and the Yiddish are more stylistic than substantive. My purpose in this paper is to build on Masor’s contribution and show that Schneersohn’s novel represents a transitional link in a modern Jewish literary trajectory that has not previously been explored by scholars. This is a trajectory that begins with the internal literary tradition of Chabad Hasidism, and is then given new expression beyond the normative circumscriptions of the Chabad community, in both Yiddish and in Hebrew, and through the genres of fiction, translation, and poetry. The Chabad Hasidic culture of Medinat raysen (Byelorussia) intersects with the literary and cultural institutions of Central and Western Europe, and then with the formation of modern Israeli culture and identity. Nicham Ross has argued that for neo-Hasidic writers, including I. L. Peretz, “Hasidism was indeed perceived … as a promising spiritual reservoir, containing a subversive element that might serve as a precursor for a truly contemporary approach to Jewish identity, an approach that bore potential for anchoring and even inspiring the soul of the modern Jew.” 14 14 Nicham Ross, “I. L. Peretz’s “Between Two Mountains”: Neo-Hasidism and Jewish Literary Modernity,” in Modern Jewish Literature: Intersections and Boundaries, eds. Sheila E. Jelen, Michael P. Kramer, L. Scott Lerner (Philadelphia: University of Pennsylvania Press, 2011), 104. Accordingly, this paper goes beyond questions of literary influence to focus more centrally on the role that Khayim gravitser plays in the negotiation of new forms of Jewish identity, both for its author, and later for its translator, the Hebrew poet Avraham Shlonsky, whose engagement with his Chabad heritage has heretofore remained all but unexplored. I will argue that Khayim gravitser provided a lens via which Schneersohn and Shlonsky each examined their respective paths between tradition and modernity. It is noteworthy that Ross and Masor have both pointed out that most neo-Hasidic writers did not actually see themselves as Hasidim in any sense, but appropriated Hasidism’s perceived tradition of rebellion against tradition in order to counteract their own feelings of alienation from Jewish tradition. Indeed, Masor has argued that Peretz, for example, is as much a neo-Maskilic writer as a neo-Hasidic one. 15 15 Masor, Evolution, vi. 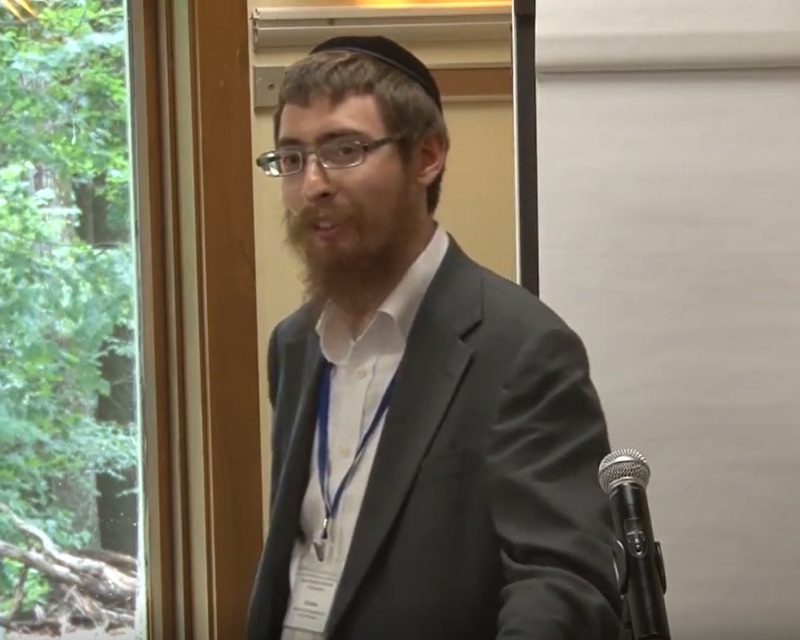 On the related evolution of Michael Levi Rodkinson from Hasid to neo-Hasid, and from neo-hasid to maskil, see Jonatan Meir, Literary Hasidism: The Life and Works of Michael Levi Rodkinson, trans. Jeffrey G. Amshalem (Syracuse: Syracuse University Press, 2016). By contrast, I will argue, Schneersohn and Shlonsky continued to see themselves as Chabad Hasidim even as they each, to varying degrees, shed normative expressions of Hasidic identity and left the circumscriptions of traditional Hasidic life behind them. While Schneersohn sought to create a Hasidic synthesis of tradition and modernity, Shlonsky specifically expressed his Hasidic religiosity through rebellion. I will further argue that important symptoms of this continuity are the literary and personal relationships between Schneersohn and the sixth rebbe of Chabad-Lubavitch, R. Yosef Yitsḥak Schneersohn (1880-1950), and between Shlonsky and the seventh rebbe, R. Menachem M. Schneerson (1902-1994). Part 1 of this paper deals with the more basic question of literary influence, arguing that Khayim gravitser represents a modern adaption of the intertextual methodology developed by the Chabad masters in the 19th century, and that its central motifs of spiritual exile and journeying have strong parallels in Chabad literature. Part 2 examines the Chabad dialectics of acosmism and innerworldly mysticism, and of intellectualism and simple faith, as reflected in Khayim gravitser and in the formation of Schneersohn’s own spiritual worldview. Part 3 turns to the dialectic of rebellion and religiosity in Khayim gravitser and in the writings of Shlonsky, its translator, exploring additional aspects of Shlonsky’s continued identification and interaction with Chabad till the end of his life, and its reflection in his poetic compositions. Taken as a whole this paper aims to complicate the neat chronology that bifurcates modern Jewish literature from its Hasidic roots, and show that both Schneersohn and Shlonsky actually continued the Hasidic literary tradition of Chabad even as they embraced alternative literary forms. R. Schneur Zalman of Liadi had three disciples who drew the waters of Chabad directly from his well, and who went on to become Chabad leaders, thinkers and teachers in their own right. Scholars have already devoted much attention to the differences that distinguished R. Aharon Ha-levi Horowitz of Strashelye (1766-1828) and R. DovBer Schneuri of Lubavitch (1773-1827). 16 16 See Khayim Meir Heilman, Bet rabi (Berditchev, 1902), Part 1, Chapter 26; Louis Jacobs, Tract on Ecstasy (London: Vallentine Mitchell, 1963); Idem., Seeker of Unity: The Life and Works of Aharon of Starosselje (London: Vallentine Mitchell, 1966); Naftali Loewenthal, Communicating the Infinite: The Emergence of the Chabad School (Chicago: The University of Chicago Press, 1990), 100-138, and 167-174 and 195. See also Rachel Elior, The Paradoxical Ascent to G-d: The Kabbalistic Theosophy of Chabad Hasidism (Albany, NY: SUNY Press, 1993). Less research has been done on the third of these disciples, R. Menachem Mendel Schneersohn of Lubavitch (1789-1866). 17 17 For biographical details see Heilman, Bet rabi, Part 3; Tzvi M. Rabinowicz ed., The Encyclopedia of Hasidism (Jason Aronson Inc., 1996), 429; Shalom Dov Ber Levine, Toldot Chabad berusyah hatsarit (Kehot Publication Society, 2010),107-155; Ilia Lurie, Edah umedinah: ḥasidut Chabad be’imperiyah harusit, 5588-5643 (Jerusalem: Magnes Press, 2006). 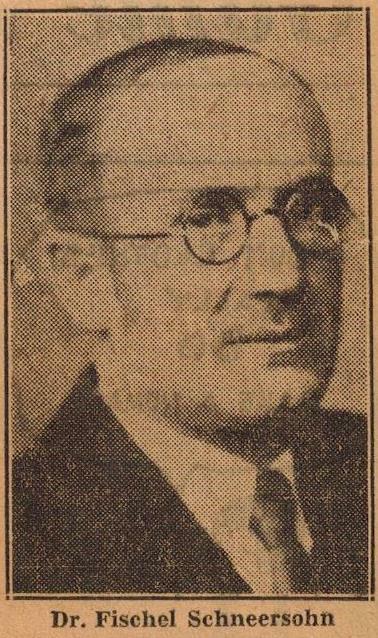 Better known as the Tsemakh Tsedek, after the title of his halakhic responsa, the latter was a grandson of R. Schneur Zalman, and both the nephew and son-in-law of R. Dov Ber. 18 18 See Heilman, Ibid., Part 2, Chapter 6, Note 2; Rabbi Menachem Mendel Schneerson, Reshimot hayoman (New York: Kehot Publication Society, 2006), 198, note 1. Though he lived in Lubavitch during R. Dov Ber’s tenure he developed an independent approach to the perpetuation and expansion of R. Schneur Zalman’s teachings. What set the Tsemakh Tsedek apart was that he did not merely see himself as part of an oral culture, in which teachings were audited, memorized, repeated and elaborated, but instead paid particular attention to the transcriptions of his grandfather’s teachings. The primary mode of his own intellectual activity was manifest in his engagement with these transcripts as texts, and in his intertextual analysis of his grandfather’s literary legacy. 19 19 See Eli Rubin, “’The Pen Shall Be Your Friend’: Intertextuality, Intersociality, and the Cosmos - Examples of the Tzemach Tzedek’s Way in the Development of Chabad Chassidic Thought,” Chabad.org <chabad.org/3286179> (accessed November 15, 2017). On intertextuality in kabbalistic literature more generally, see Daniel Abrams, Kabbalistic Manuscripts and Textual Theory: Methodologies of Textual Scholarship and Editorial Practice in the Study of Jewish Mysticism (Magnes Press / Cherub Press, Jerusalem, 2nd edition 2013). The Tsemakh Tsedek’s interpolations of commentary glosses (hagah’ot), usually marked by parentheses, are laced with countless cross-references to other mamarim of R. Schneur Zalman, as well as to his authoritative Likutei Amarim—Tanya, and serve to highlight the significance of specific texts and to point out the complications and insights that emerge when they are placed in dialogue with one another. These glosses also situate R. Schneur Zalman’s teachings in their broader Kabbalistic and Rabbinic context, with frequent citations to Talmudic, Midrashic, Zoharic, Cordoverian and Lurianic texts. This intertextual method allowed for an interpretive boldness that yet remained rigorously grounded in the original texts of his grandfather’s teachings. 20 20 See Nochum Grunwald, “Hashitot vehashit’tiyut bederushei rabeinu hazaken: Hagdarat vesivug shel shitot vede’ot bemerḥavei ketavav shel admor hazaken bemishnat hatsemaḥ tsedek,” in Harav, ed. Nochum Grunwald (Mechon Harav, 2015), 573-586. Cf. Ariel Roth, “Reshimu—maḥloket ḥasidut lubavits vekopust,” Kabbalah 30 (2013): 243, n. 122; Schwartz, Maḥshevet Chabad, 158-186. In 1866 the Tsemakh Tsedek passed away. Several of his sons, and later grandsons, set up contemporaneous Chabad courts in various Belarusian towns. His seat in Lubavitch was filled by his youngest son R. Shmuel (1834-1882), known by the acronym Maharash. 21 21 Heilman, Bet rabi, Part 3, Chapter 8. For more on the sons of the Tsemakh Tsedek, their tenures of leadership, and their successors, see the series of articles by Amram Blau, published in the Heikhal habesht journal, issues 16-23. See also Albert Kaganovich, The Long Life and Swift Death of Jewish Rechista (Madison: The University of Wisconsin Press, 2013), 160-161. Kaganovich’s gratuitous and self-admittedly “grotesque” comparison of internal Chabad historiography to Leninism is belayed by the work of Blau, and overlooks the fact that one of the primary transmitters of Chabad history, the author of the authoritative Bet Rabi, was allegiant to the Kopust branch of Chabad rather than that of Lubavitch. The latter also took up his father’s intertextual method and created an entirely new genre of Chabad literary activity, namely the hemshekh (“series”). Rather than only delivering self-contained discourses, he began the practice of serializing them, intensely exploring a single theme over several weeks or months. Each discourse in the series has its own beginning, middle, and end, but is also a continuation of a larger thematic framework that extends beyond its own conclusions. This allowed Maharash to engage in more sustained scrutiny of a single topic, and to develop a greater degree of synthesis between an array of ostensibly different topics, so that a richer and more comprehensive understanding is developed. 22 22 The present discussion of the hemshekh is largely a restatement of arguments developed in Eli Rubin, “Hemshekh Vekakhah Ha-gadol: Treading the Path of Redemption, Unveiling the Face of Effacement,” Part 1, Chabad.org <Chabad.org/3646993> (accessed November 15, 2017). Also see R. Menachem Mendel Schneerson, Torat menachem hitvaaduyot 5746, Vol. 1 (Lahak, 1990), 163-165; Idem., Torat menachem hitvaaduyot 5750, Vol. 1 (Lahak, 1990), 113-114; Naftali Loewenthal, ““The Thickening of the Light”: The Kabbalisitc-Hasidic Teachings of Rabbi Shalom DovBer of Lubavitch in Their Social Context” in Jonatan Meir and Gadi Sagiv (eds. ), Chabad Hasidism: History, Thought, Image (The Zalman Shazar Center: Jerusalem, 2016), 10*-13*. Prima facie, the emergence of the hemshekh might appear to be the exact reverse of the hagah’ot favoured by the Tsemakh Tsedek. In truth, however, Maharash followed his father’s example by paying close attention to the textual corpus he had inherited from the first three rebbes in the main Chabad line of transmission. In his own mamarim he drew heavily on theirs, often quoting large segments of text verbatim. Crucially, though, these are not mere restatements, but rather components of a systematic reinvestigation, in which old ideas are embellished, rescrutinized,and recontextualized in the service of new arguments. Yet the real power of the hemshekh derives from the way he organized the material, linking the teachings together, and marshaling them in a demonstrative tour de force. Placed within a contextual flow, otherwise isolated teachings discover new momentum and—supported by Maharash’s incisive embellishments—advance a compelling thesis. In this way, the hemshekh is actually an innovative continuation of the intertextual approach pioneered by the Tsemakh Tsedek. The Tsemakh Tsedek applied the intertextual method on a point-by-point basis, providing something akin to a running commentary that draws on other sources to contextualize and elaborate. The Maharash applied the intertextual method to construct an entirely new edifice, a sustained reconsideration of a single central theme. It is notable that the image of the traveler, staff in hand, is likewise central to Fishl Schneersohn’s novel, Khayim gravitser. At the end of his first tumultuous night in the woods following the burial of his beloved son, the title character breaks off a branch from a tree, fashions himself a staff, and sets out to tread a new path, the path of one whose soul has fallen but who is yet determined to walk onward. He still carries that staff in the novel’s epilogue as he exits the “great hall” in Lubavitch to encounter reconciliation and ascent. 24 24 Schneersohn, Khayim gravitser, 121 and 545. On the motif of walking in Hasidic teachings more generally see Elliot Wolfson, “Walking as a Sacred Duty: Theological Transformation of Social Reality in Early Hasidism,” in Hasidism Reappraised, ed. Ada Rapoport-Albert (London: The Littman Library of Jewish Civilization, 1997), 180-207. More significant than this shared image is the shared debt to the Tsemakh Tsedek’s literary legacy. Of course, the Tsemakh Tsedek (“the Rebbe”) figures in Schneersohn’s novel, and a key element in Gravitser’s fall is related to an imbalance that emerges, and is slowly exacerbated, in his relationship with the Rebbe. 25 25 See Masor, Evolution, 219. But the novel also constitutes a further iteration of the Tsemakh Tsedek’s intertextual method; Schneersohn tells us that the mamarim that feature as plot devices in Khayim gravitser are based on his own transcripts of authentic Chabad mamarim. 26 26 See Schneersohn, Khayim gravitser, 20, n. 6: “Many Hasidim had the ability to grasp the rebbe’s mamarim and to transcribe the teachings that they heard in writing. These transcripts were called “hanaḥot,” and thereby the rebbe’s mamar would be circulated in various hanaḥot. The Chabad mamarim and anecdotes that are integrated into our story, are reworked based on our personal transcripts.” See also Masor, “The Evolution of the Literary Neo-Hasid,” 233: “The rebbe’s maymarim (sic) in the first volume… sound convincingly like real maymarim.” The editor of the 2013 edition of Khayim gravitser, Natanel Lederberg, has also identified some specific mamarim that may have served as sources, but more research needs to be done to scrutinize these possibilities and to better understand specific lines of textual transmission and how Schneersohn used his textual sources. We must also bear in mind that Chabad mamarim were transcribed, copied and repeated in many iterations, and that far more material is available from the Lubavitch line of Chabad than from the Kopust line of which Schneersohn was a descendant. In weaving existing teachings into the larger structure of a novel, Schneersohn puts them into conversation with one another, constructing a broader and more complex ideological edifice. Accordingly, one might think of Khayim gravitser as a modern Jewish literary version of the hemshekh. How familiar Schneersohn was with the innovations of his great-great-uncle, Mahahrash, and how conscious he may have been of resonances between the hemshekh and his own novelistic project, remain open questions. But it is undeniable that both of them were indebted to the Tsemakh Tsedek, and to the Chabad culture of textual engagement and transmission to which they were heirs. 27 27 On Chabad’s nineteenth-century manuscript culture see Israel Sandman, “Chabad’s 19th Century Manuscript Boom,” Chabad.org <Chabad.org/3949906> (accessed July 30, 2018). It is also undeniable that there is a fundamental difference between these two manifestations of Chabad’s intertextual tradition, the hemshekh and the novel. Hemshekhim were crafted by functioning rebbes and delivered within the traditional context of the Chabad-Lubavitch court; Khayim gravitser, by contrast, was written by the grandson of a rebbe who had left the traditional context in which he grew up and was now trying to recapture it in literary form. The serialized mamarim of a hemshekh were not only placed in dialogue with one another, but were also placed in dialogue with all the native elements of Hasidic life, practice and experience. The teachings were organically contextualized by a living culture of song, soul, spirit, prayer and lore, and thereby were transformatively integrated into the life stories of those who received them, transcribed them, repeated them, memorized them and lived by them. Schneersohn, however, began his literary project in Berlin, at some distance from the native context and culture of Chabad. Accordingly, in Khayim gravitser it was necessary for all of the wider cultural dimensions of Chabad Hasidism to be novelistically reconstructed—for the context to be imaginatively conjured and incorporated within the text. Chabad’s theological and comosological teachings encompass two fundamental principles that are ostensibly in deep tension with one another. The first is the principle of divine unity, or singularity, encoded in the verse “ayn od milvado” (“there is none other than He alone,” Deuteronomy 4:35.) 28 28 For the locus classicus see R. Schneur Zalman of Liadi, “Shaar hayiḥud veha’emunah,” in idem., Likutei amarim tanya (Vilna: The Widow and Brothers Romm, 1900 / Brooklyn: Kehot Publication Society, 1956), 76b-81b [152-162]. The second is encoded in the Midrashic dictum, “the Holy One, blessed be He, desired a dwelling in the lower realms,” which is enshrined in Chabad texts as the ultimate telos of creation, the Torah, and the mitzvot. 29 29 Variations of this statement appear in Midrash Tanchuma, Bechukotai 3 and Nasso 16, and in Bereishit Rabbah 3. See R. Schneur Zalman of Liadi, Likutei amarim tanya, Chapter 36, 45b-46b [90-92]. For further discussion of the development of this midrashic notion in Chabad thought see Nochum Grunwald, “Dirah betaḥtonim kemusag uketorah iyunit” in Harav, 506-562; Eli Rubin, “Intimacy in the Place of Otherness,” Chabad.org <Chabad.org/2893106> (accessed July 30, 2018). The first gestures towards the acosmistic insignificance or nullity of the physical world, while the second leads to the opposite conclusion, that it is precisely the physical world and the indwelling of G-d therein that is of utmost significance. Inherent to the Chabad worldview, it might be argued, is a dialectic between acosmism and innerworldly mysticism, between the redemptive quest for G-d’s transcendent essence and the exile of the soul within the corporeal forms of earthly existence. 30 30 On the centrality of such dialectics in early Chabad thought see Rachel Elior, The Paradoxical Ascent to God: The Kabbalistic Theosophy of Chabad Hasidism, trans. Jeffrey M. Green (Albany, NY: SUNY Press, 1993), 33-5. Cf. Yoram Jacobson, “Bimevokhei ha’ayin ubemevukhat hayesh,” Qiryat Sefer 68 (1998): 231. For a more comprehensive and nuanced discussion of the body as the means through which one transcends the limitations of the body see Elliot Wolfson, Open Secret: Postmessianic Messianism and the Mystical Revision of Menahem Mendel Schneerson (Columbia University Press, 2009), 143-150. On the Weberian concept of “innerworldly mysticism” and its manifestation in Hasidism, see Philip Wexler, Mystical Sociology: Towards Cosmic Social Theory (New York: Peter Lang, 2013), 157–158. This tension can be found in all three of the literary artifacts before us, in Hanidakh, Vekakhah, and Khayim gravitser. A closer look at the different representations of this dialectic will serve to demonstrate the more complex conception that emerges as a result of Schneersohn’s deeper engagement with Chabad’s internal literary and intellectual tradition via the more developed literary form of the novel. This is especially highlighted when Schneersohn’s novelistic treatment of this theme is compared to the treatment found in Agnon’s short story. While Agnon’s story grasps hold of only one pole of this dialectic, Schneersohn offers two competing views of how the two poles of this tension can collide or be reconciled in the life of the individual Hasid. As noted at the outset of this article, in Hanidakh Agnon invokes the famous declaration of R. Schneur Zalman of Liadi, “ I desire only You!” But he inserts an additional clause that is not found in Chabad sources, and which is not insignificant. Here I emphasize this addition: “Master of the world! I forego all that you have in your world, your Garden of Eden, and even the gates of light. I cede all to you, master of the world. I desire only you, you alone!” 31 31 Agnon, Elu ve’elu, 44. To attain ultimate union with G-d, it is implied, one must “forego” worldly life. Indeed, in Agnon’s tale, the protagonist’s ascent of the soul is synonymous with his earthly death. Absent Agnon’s additional clause, however, R. Schneur Zalman’s original statement is a rejection of all levels of spiritual revelation, but it is not usually understood to entail a rejection of earthly life. On the contrary, in one version it is recorded that R. Schneur Zalman continued to exclaim: “I would have long expired, but your Torah and commandments hold me!” 32 32 As cited in Yehoshuah Mondshine, Migdal oz (Kfar CChabad: Machon Lubavitch, 1974), 173. This can be read as a declaration that the Torah and commandments, which are vested only in the physical realm, provide the most concrete connection with the divine essence, thereby holding R. Schneur Zalman back from spiritual expiration. If we contemplate this well, we will understand the great stature of this [physical] world (olam hazeh), in which created and limited man is able to create pleasure for his creator. The entirety of life in the world-to-come, on the other hand, is only that man receives pleasure and satisfaction—and there is no comparison between the pleasure of man and the pleasure experienced by G-d. Considering this, the satisfaction of man too, in this world, will be increased far beyond the pleasure of life in the world-to-come… Therefore, the delightful sweet experience of the pleasure that must be attained from the fact that we cause pleasure before G-d in performing the commandment [in this world] cannot even be compared to the pleasure that will be attained in the world-to-come. 34 34 Rabbi Shmuel Schneersohn, Likutei torah—torat shmuel, shaar teshah asar, sefer 5637 vol. 2, vekakhah—5637 (Brooklyn, NY: Kehot Publication Society, 2013), Section 12, 412-413 . דו ביסט שוין גאר פארטיג, צופרידן — דארפסט שוין ניט קיין עליה, קיין תשובה. און אזוי פארשכורט ווילט זיך שיר שוין אפילו א "קליין ווערימל" ווערן, ווייל, באמת, צופרידנקייט, ווי אזוי זי זאל ניט זיין, איז די גורל פון ווערים, שלעפט צו דער ערד, און דער נמאסער מלוכה פון קריכענדיגע — פון דאנען גייט א גלייכע וועג אין שענק. אפילו יינגלאך אין חדר וויסען דאך שוין די הייליגע קלארע ווערטער: נר ה' נשמת אדם. ווארום ווי אין א ליכט ציהט זיך דער גאנצער פלאם פון א נשמה נאך אויבן צום שורש. און דאס מיינט טאקע דער אלטער רבי זכרונו לברכה: קיין גן-עדן התחתון, רבונו של עולם, וויל איך ניט, קיין גן-עדן העליון בעט איך ניט, כ'וויל נאר דיך אליין. You are already ready, complete, and satisfied, you don’t need anything at all, not ascent and not repentance (teshuvah). You already desire to become “a little worm,” for self-satisfaction is in truth like the fate of worms, drawn to the earth, to the filthy kingdom of crawling things. From there runs a straight path to the tavern. Even school children know the holy and clear words, “a candle of G-d is the soul of man” [Cf. Proverbs, 20:27], like the light of a candle so is the entire flame of the soul drawn ever upward, to the root. And this is truly the meaning of the words of the Alter Rebbe of blessed memory, which we mentioned earlier: Master of the world! For your lower Garden of Eden I have no desire, your higher Garden of Eden I do not seek. I do not desire anything but you alone! 35 35 Khayim gravitser, 61. In the original Yiddish this appears in Volume 1, page 68. Gravitser’s interpretation of this statement as expressing an insatiable spiritual thirst actually coheres with the one represented in Agnon’s tale. But as the plot develops it becomes clear that Gravitser’s unrelenting ascent is itself a form of wrongheaded drunkenness, and that it is he who is about to fall, figuratively and literally, into the tavern’s depths. 36 36 For more on Gravitser’s fall and his drunken dance in the tavern, see Masor, Evolution, 219, 221, and 226-229. איך וויל אייך זאגן דעם גאנצן אמת. ערשט צוריק מיט א פאר טעג בין איך געקראכן אויף הימל, כ'האב, דוכט זיך, מיט אלע מיינכע רמ"ח אברים דערהערט, אז ס'איז אין עוד מלבדו. ניטא גארנישט חוץ אים. ממילא איז דאך אזא זאך ווי טויט א פשוטער דמיון. זיינען מיר געגאנגען אלע מיט געזאנג נאך דער לויה פון מיין בן-יחיד, כדי צו באגראבן דעם טויט. גאר אין מיטן התלהבות האט אהן מיין ידיעה דאס הארץ אנגעהויבן פשוט ווי טאן אויפן געשטארבענעם זון. מיר ווערט טונקל אין די אויגן און איך קען ניט איינשטיין. אז טויט איז א דמיון, איז דאך הארצווייטאג אודאי א דמיון. פארוואס-זשע קען איך אנטקעגן דעם ניט ביישטיין? איר פארשטייט, איך באגראב דעם טויט, און דאס הארץ, דער גוף באגראבט מיך. האב איך שוין גלייך דערזעהן, אז מיינע גאנצע התלהבות איז אויך נאר א פארשפיצטע תאוה פון גוף, א געשריי פון הייס בלוט וואס זוכט ריינעם שפירט טון זודיגע התלהבות. בסך-הכל הייסט עס, אז איך האב פשוט געשיכורט מיט דעם אין עוד מלבדו. The entire truth, I’ll tell you all of it. Only a few days ago I was climbing the heavens. In all my two hundred and forty eight limbs I felt, ostensibly, that “there is nothing beside Him” (ayn od milvado). There is nothing at all other than He. Accordingly, something like death is nothing but a figment of imagination alone. We were all following, with a song, after the bier of my only son [Yosele], in order to bring death to burial. But in the midst of the enthusiasm, my heart, without my knowledge, simply began to wail for my son who had passed. My eyes darkened, and I could no longer withstand it. If death is a fantasy, a wailing heart is fantasy all the more so. If so, why can I not stand firm against it? Do you understand? I am burying death, and the heart and the body are burying me. Immediately I realized that my enthusiasm too is nothing more than the sophistry of the body’s lust, the screaming voice of bubbling blood, which demands raw alcohol and passionate enthusiasm. All things considered, in other words, I was simply drunk with “ayn od milvado.” 37 37 Schneersohn, Khayim gravitser, 161. In the original Yiddish this appears in Volume 2, pages 100-101. Gravitser’s ascent initially brings him to a state that transcends all worldly reality and empties it of all meaning. His acosmistic quest for G-d is a kind of escapism, in which the world and its troubles are ignored rather than enfolded and repaired within G-d’s singular embrace. In the face of the death of his only son, his rapture does not bring him comfort but leads him to denial. When he is finally overcome by the sheer force of his personal tragedy his acosmistic faith falls apart. 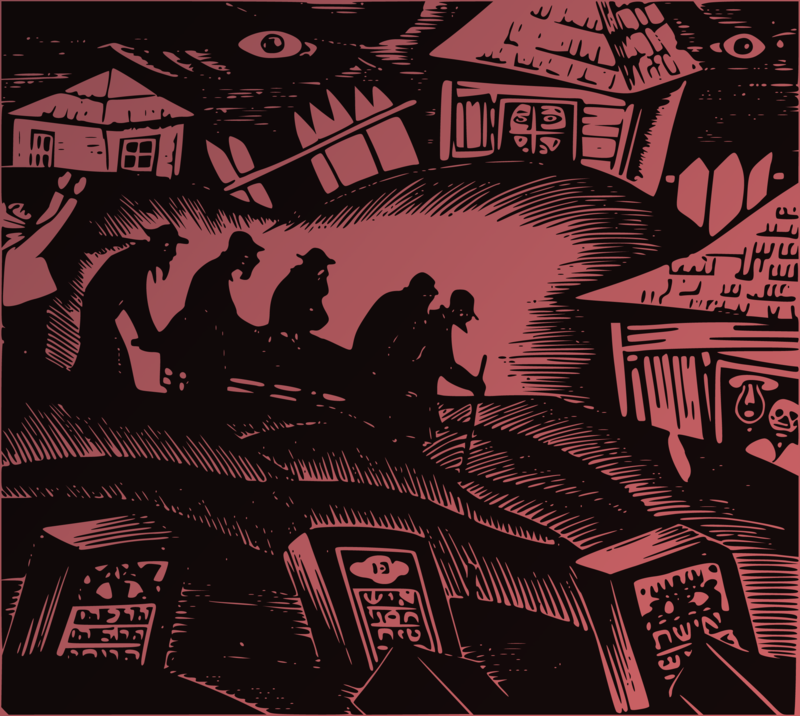 With the howl of a wounded animal he runs from Yosele’s graveside without reciting the mourner’s kaddish. 38 38Ibid., 92. אין יוסעלעס שטוב איז פינסטער געווען. די קינדערלאך זיינען שוין לאנג געשלאפן. איין לאהלה איז געזעסן ארום אפענעם פענסטער און מיט שטיל גליענדע פארחלומטע אויגען געקוקט אין די גרויסער נאכט אריין. אהן א צאל, טאקע ממש גאר אהן א צאל ליכטיגע שטערן האבן פון דעם הימל אויף דער ערד אראפגעלויכטן … הימל און ערד, בוימער און גראזן — אלץ שטייט אומבאוועגלאך — פארגאפט. א שטיל, כלות-הנפשדיג שטיל געזאנג האט אין דער גרויסער נאכט געפלאטערט. לאהלע האט תמימותדיג-פארגאפט די הענט אויף דער ברויסט צונויפגעלייגט. זי האט שוין ווייס ווי אזוי אויף אייביג אין זיך איינגעזאפט דאס גרויסע געזאנג פון אין עוד מלבדו! In Yosele’s house it was dark. The children already slumbered in sleep. Leah alone sat next to the open window, and with dreamy eyes, bright with gentle flame, she gazed into the great night. Bright stars without number, literally without any number at all, shone from the heavens above to the earth below… Heaven and earth, trees and grass, all stand without movement, enraptured. A gentle song, gentle enough to call the soul toward G-d, floated within the great night. With simple rapture Leah folded her hands upon her heart. And G-d is the one who knows that absorbed within her forever is the great melody of ayn od milvado.— ayn od milvado! 40 40Ibid., 93. In the original Yiddish this appears in Volume 1, page 112. Leah experiences the singular being of G-d as an immanent presence that embraces all the multifariousness of earthly existence, enflaming her soul and caressing her broken heart. In the novel’s original form Schneersohn leaves us with this image, suggesting that Leah’s simplicity allows her to grasp an innerworldly mystical truth that evaded Gravitser despite all his passion, prayer and learning. The novel’s second part begins with a detailed account of the very different way in which Gravitser experiences that very same night. For him the trees and grass stand as a heretical denial of ayn od milvado, and he berates them with wild shouts: “Whatever happens to Khayim Gravitser will happen, but you, trees and grass, heaven and earth, you shall certainly truly know that indeed there is nothing aside from Him… ayn od milvado!” 41 41Ibid., 98. Gravitser is broken by the reality of the world, by the reality of death, and the question that drives the novel to its ultimate conclusion is if and how he can ever find repair. Gravitser’s journey takes him beyond the world of Chabad, where he tests what might be perceived as another form of religious escapism, the more traditional Talmudism of the so called Mitnagdim (“opponents” of the Hasidim). Along the way he also spars with a secular Jew who scorns the Hasidim and the Mitnagdim in equal measure. Throughout he never loses his Chabad identity and outlook. Yet he comes to recognize the value that inheres in other forms of Jewish engagement, and even seems to absorb some of these values, reshaping and remaking himself through a process of struggle and synthesis. Unlike other neo-Hasidic writers who appropriated Hasidism in order to justify their own break from traditional forms of Jewish learning and life, Schneersohn seems to use the title character of his novel as an avatar for his own struggle to keep his Chabad identity intact even as he absorbs, adopts and adapts knowledge and cultural practices from outside of the Chabad tradition. As Masor has argued, Schneersohn sought to create a Hasidic and scientific synthesis, formulating a universal psychological and pedagogical vision that he hoped would help his fellow humans to heal their souls. 42 42 Masor, Evolution, iii, vii and 200-207. It seems to me that the basis of this synthesis, for both Gravitser and Schneersohn, is the fundamental faith in the Chabad principle of divine unity, that “there is nothing aside from He.” It is this principle that allows them, each in their own way, to face the outside world; to see that the outside can ultimately be enfolded within; to see that a diversity of apparently conflicting modes can ultimately be synthesized and made transparent to the singular being of G-d. Through all the ups and downs of the book, the Chabad slogan “ayn od milvado” gives both the protagonist and the author the strength with which to struggle onward. אנשים כאלו מאחר שאינם בציור שכל ומדות איז וואס איז ער, רק העצמי שבו … מי שהוא בציור שכל ומדות הוא בציור איזה דבר ולבוש, אבל אנשים פשוטים זיי האבן ניט קיין דבר המלביש, והעבודה הוא מצד העצמי. Since such [simple] personalities do not express themselves via the forms of intellect and emotion, therefore what is this individual? Only the essence that is within … An individual whose personality is vested in the forms of intellect and emotion, [conversely,] is circumscribed by the forms of these extraneous vestments. But simple people are not circumscribed by any external vestment, and their service of G-d is driven by the essence. 44 44 R. Yosef Yitsḥak Schneersohn, Sefer hasiḥot - 5689 (Brooklyn, NY: Kehot Publication Society, 2010), 27. The mixture of Hebrew and Yiddish in this text reflects the hybridity inherent in the textual transcription of the oral word, as in European rabbinic culture these two languages are generally used for writing and speech respectively. In Khayim gravitser the title character is an intellectual and emotional giant, and yet the essential wholesomeness most powerfully personified by Leah eludes him. 45 45 For Schneersohn’s explicit musings on the spiritual qualities of other personifications of this “wholesome simplicity,” in addition to Leah, who are encountered by his title character see Khayim gravitser, 554-5. After all of Gravitser’s experiences he seems as broken-hearted at the book’s conclusion as when he first ran from the graveside of his son. But he has somehow attained a kind of anguished peace, and seems resolved to make the best of a broken world with his wife, Sarah, as his partner. Sarah in turn describes to him the simple, luminous, faith of Leah. In the moment before Gravitser’s fall, as Leah stood at her dead husband’s side, she absorbed and internalized the “simple and yet staggering” perception that “life and death, pain and joy, interlock and merge like waves in the great song … the song of ayn od milvado.” 46 46Khayim gravitser, 557. Despite her loss, she grasps the inherent holiness and preciousness of “the entire world, all of life.” 47 47Ibid., 558. איז איצט עטוואס אומגעריכטס פארגעקומן. די זעלביקע פרייד פונם גרויסן געזאנג, וואס איז (בשעת יאסעלעס לויה) געקומן פון חיימן צו לאה'לען, האט זיך איצט אין לויטערער איינפאכקייט און תמימות'דיקער קלארקייט אומגעקערט צוריק פון לאה'לען צו חיימן. אין אט דער ליכיטער איינפאכקייט האט חיים מיט אמאל דערזען, אז קיינע ראנגלענישן און זוכענישען קענען ניט שטערן די גרויסע פרייד פון דער נשמה. מ'דארף טאן אויף דער וועלט אלץ וואס מ'קען און מער ווי מ'קען. מ'דארף הארעווען שטענדיג אויף זיך און אויף דער וועלט, — נאר אין יעדער ארבעט, אין יעדער אטעם, אפילו אין ביטערן צווייפעל און געראנגעל, דארף מען שטענדיג פיהלן און דערהערן, ניט אויף א רגע אפצורייסן זיך, דעם אייביקן גרויסן געזאנג פון "אין עוד מלבדו". When she saw Khayim a great joy came over her. And here, something indeed occurred that was not at all anticipated. The joy of the great song that came (at the time of Yosele’s passing) from Khayim to Leah’le, now returned, with pure simplicity and with complete clarity, from Leah’le to Khayim! With clear and shining simplicity Khayim suddenly saw that no confusions and dilemmas, and no demands and struggles, can cloud, or need to cloud, the great joy of the soul. We must do all that we can in the world, and more than we can. We must constantly strive for ourselves and for the entire world. But in each effort and in every breath, even in bitter despair and confusion, one must constantly feel and absorb—never tearing oneself away for a moment—the eternal great song of ayn od milvado. — ayn od milvado! 48 48Ibid., 561-562. This segment has not previously been published in the Yiddish original, and I am grateful to Ri J. Turner who found the Yiddish manuscript of the last two chapters and the epilogue in Schneersohn’s archive at Tel Aviv University and generously shared them with me. This concluding passage is effectively a mini manifesto that makes the overarching message of its author clear. It is also a succinct summary of the philosophy of life articulated by the author’s ancestor, R. Schneur Zalman of Liadi in Likutei amarim—tanya, and espoused by Hasidism more generally: We can only meet and overcome the overwhelming challenges of earthly life through the joyous knowledge that we, and all worldly events, are enfolded within G-d’s embrace. 49 49 For the locus classicus on this doctrine in Chabad thought see R. Schneur Zalman of Liadi, Likutei amarim tanya, Chapters 26-9, 32b-38a [64-75]. For further discussion see Naftali Loewenthal, “The Ethics of Joy,” Chabad.org, <Chabad.org/2219688>, esp. from time code 16:19 and on (accessed August 1, 2018). For some, like Leah, this knowledge is an intuitive and axiomatic faith. For others, like Gravitser, this knowledge must be discovered, excavated from beneath the weighty facades of intellectual, emotional, ideological, and spiritual conceit. Though originally composed in Yiddish, Khayim gravitser has only appeared in complete form in the Hebrew translation of Avraham Shlonsky, who was celebrated not only for his own literary creations but for his translations of Shakespeare, Pushkin and other classic authors. Critics have pointed out that Shlonsky endowed his translations with his own literary aesthetic, making them his own. 50 50 See Rina Lapidus, “‘Yivgeni oneigin’ shel aleksander pushkin betargumo shel avraham shlonsky,” Jerusalem Studies in Hebrew Literature (2006): 253-70. Indeed, in reflecting on “the art of translation” Shlonsky himself argued that “poetic accuracy or precision is formed by the melody, the forms, the rhythms, the pauses - not necessarily by the meaning of the words … A language of a people isn’t contained in a dictionary, a lexicon or a concordance. It is the biography of a people which reflects its language.” Shlonsky was less interested in the precise meaning of the individual words, and more interested in capturing the “wealth of association” and the ressanononce of “how a people rejoices, how it weeps and how it lives, in short its spiritual and physical life.” 51 51 Avraham Shlonsky, “Some thoughts on the art of translation,” trans. Mickey Yudkin, Jewish Quarterly, 18 (1970): 2-6. Shlonsky’s translation of Khayim Gravitser introduces additional biblical and rabbinic phrases or references that do not appear in the original, and—thereby a heightened degree of elegance. Nevertheless, the earthier aesthetic of the original Yiddish is faithfully echoed, albeit in a more nostalgic key. In this case we should perhaps be less surprised at the success of Shlonsky’s rendering. After all, it was the spiritual and physical life of his own people, the language and culture of his own family, that Shlonsky sought to relive in the new Hebrew context. A closer look at his engagement with this novel complicates the normative view of Shlonsky as concerned purely with the creation of a new Zionist literary aesthetic with an anti-diasporic agenda. This follows the argument of Naomi Brenner, that “if Shlonsky articulated the Zionist stance that Yiddish was the language of the diaspora and had no place in Hebrew national culture, he also inscribed Yiddish into his poetics and poetry, revealing a personal and aesthetic attachment that was much harder to banish.” 52 52 Noami Brenner, “A Multilingual Modernist: Avraham Shlonsky between Hebrew and Yiddish,” Comparative Literature 61, no. 4: 367-387. Scholars have already noted Shlonsky’s Chabad roots, and that in his childhood he and his family were especially close to their neighbors and cousins, the Schneersohns, whose oldest son would later become known as the Lubavitcher Rebbe—R. Menachem Mendel Schneerson. Scholars have likewise noted ways in which the broad themes of religion and secularism, tradition and modernity are given expression in his literary work. 53 53 On Shlonsky’s early life and relationship with his Schneersohn cousins see Hagit Halperin, “Ben rambam le-buknin,” Moznaim, Vol. No. 8 (2000): 7-11 [Hebrew]. For some discussions of the dialectic between religion and secularism in his poetry see Herbert Bronstein, “The Prayers of a Secular Poet,” The Journal of Religion 50(4) (Oct., 1970): 386-407; Ari Ofengenden, “‘Days Will Come and They Will Demand an Account. What Will I Give?”: The Dynamics of Secularization in Abraham Shlonsky’s Writings,” Hebrew Studies 51 (2010): 329–350. For a more general discussion see Shachar Pinsker, ““Never Will I Hear The Sweet Voice Of God”: Religiosity and Mysticism In Modern Hebrew Poetry” Prooftexts 30(1) (Winter 2010): 128-146. Less has been done, however, to probe the specific influence of his Hasidic background, and of Hasidic ideas. 54 54 See Haim O. Rechnitzer, “From Honolulu via Mt. Gilboa to Tel Aviv: the Rise and Fall of Shlonsky’s Messianic Halutz,” Hebrew Studies 55 (2014): 261–284; Idem., “When Joseph met Zuleika – the theo-political underpinning of Joseph in Shlonsky’s early poetry and its critique of the halutz ethos” Journal of Modern Jewish Studies, 15:3 (2016): 504-519. Rechnitzer does argue that more attention should be paid to Hasidic sources, but in applying this argument tends to focus on secondary sources, most of which deal with the teachings of Rabbi Aharon Ha-levi Horowitz of Strashelye, an important figure in the 2nd generation of Chabad, which are only of very general relevance to Shlonsky’s engagement with Chabad. Moreover, his later interactions with his aforementioned cousin—including face-to-face meetings as well as correspondence—have never been considered in relation to his literary work. 55 55 See “Pegishah ben emunah vehashirah,” Maariv (March 25, 1977): 22. <http://jpress.org.il/olive/apa/nli_heb/SharedView.Article.aspx?href=MAR%2F1977%2F03%2F25&id=Ar02201&sk=D1114FAE> (accessed November 15, 2017); Yonatan Shlonsky, “Harabbi milubavits veavraham shlonsky—kesher meyuḥad” Higayon beshigayon (accessed November 15, 2017). Scattered references to Hasidism and to hasidic figures can be found in his writings, as can more ambiguous illusions. But Shlonsky’s translation of Khayim gravitser is likely his most direct and substantive literary engagement with the Chabad facet of his identity and deserves to be more carefully examined within the wider context of his literary work and life story. — ניין! כ'וועל דיר, רבונו של עולם, מיין נשמה ניט אפגעבן … און אז דו וועסט פארשליסן פאר מיר אלע טויערן פון תשובה, וועל כ'זיי מיט מיין קאפ צוברעכן … כ'בעט נישט קיין רחמים און כ'וויל ניט קיים עולם הבא. א פארלארענער, א געפאלענער, א פושע-ישראל, כ'וויל דיר דינען מיט וואס איך פארמאג … "אין עוד מלבדו!". ניין, ניין! כ'וועל דיר מיין נשמה ניט אפגעבן. — No! I shall not give you my soul, Master of the World … Even if you lock before me all the gates of return, I will smash them with my head… I do not request mercy and I do not want your World to Come. Lost and fallen, a Jewish-sinner, I will serve you with all that I have … ayn od milvado! No, no! I shall not give you my soul. 59 59Ibid., 120. In the original Yiddish this appears in Volume 2, page 43. Shlonsky may well have found, in the figure of the “fallen” Gravitser, an avatar for his own prefered stance of “steadfastness against G-d … againstness … that very great heresy, which is true religiousness.” 60 60 Avraham Shlonsky, “Dor bli don kikhotim.” On Gravitser as a rebel see Masor, Evolution, 219, 232, and 246. In an earlier essay Shlonsky explicitly associated his “againstness” with the Hasidic leader Rabbi Levi Yitsḥak of Berditchev who refuses to accept and submit to G-d’s judgement and instead upholds Torah’s judgment of the Creator. Citing a saying by Rabbi Menachem Mendel of Kotsk, Shlonsky disdains the mitnagdim who love the Torah rather than G-d. 61 61 Avraham Shlonski, “Maḥana’im: Bet. Mum u’metom,” Torim, July 1933. As cited in Ari Ofengenden, “Days Will Come,” 336; Idem., Abraham Shlonsky: An Introduction to His Poetry (Berlin and Boston: De Gruyter, 2014), 72-73. איך טרענק זיך, רחמנא ליצלן, אין מיין אייגענע בלאטע … און אז מ'טרענקט זיך אין בלאטע, מוז מען לויפן צוריק צום גרויסן שליאך מיט די פעסטע סלופעס. אפשר וועל איך זיך נאך ראטעווען. טאקע שוין וועל איך אנטלויפן פון דאנען. אהין, אהין, צו די טרוקענע מתנגדים. חסידים מוזן האבן חיות און שמחה, טענץ און בראנפן. נאר מתנגדים קענען דינען דעם אויבישטערן אויף דעם אויסגעשטיינערטן טרוקענעם שליאך. I am drowning, G-d save me, in my own swamp … And when a person is drowning in a swamp, against his will he turns back and bolts for the great road. Perhaps I will yet save myself. Immediately I will up and flee from here. To there, to there, to the dry mitnagdim. Hasidim require inspiration and joy, dance and alcoholic spirits. But the mitnagdim are able to serve G-d’s name on the paved, dry, roadway. 64 64Ibid., 235. In the original Yiddish this appears in Volume 2, pages 203-4. Also see Masor, Evolution, 222. Even as he sets out for the cities of the mitnagdim, the sweet voice of the Baal Shem Tov echoes in Gravitser’s ears, “Listen to me, Khayim my beloved, in truth and in literal actuality, ayn od milvado.” 65 65Ibid., 293. We might suggest that Gravitser is on his way to carving out a more complex conception—which will diffuse his rebellious spirit—namely that the “the paved, dry, road” is the sure way to re-enter the embrace of G-d, to affirm that there is indeed “nothing other than Him.” To put it differently, it dawns on Gravitser that the Alter Rebbe’s ecstatic sentiment, “You alone I desire,” is given its fullest realization in the latter’s further exclamation, “I would have long expired, but your Torah and commandments hold me!” 66 66 As cited in Yehoshuah Mondshine, Migdal oz, 173. It seems that it is the force of these dialectics—between acosmism and innerworldly mysticism, between rebellion and religiosity—that ultimately compels Gravitser to return “to the holy wellspring of Chabad, to the Rebbe, to the world of Chabad in Lubavitch, from whence his soul truly drew its vitality all his life.” 67 67 Schneersohn, Khayim gravitser, 517-518. To return, however, is not to relinquish his identity as a fallen soul, nor his clear eyed vision of the spiritual and ethical shortcomings of the mitnagdim and the hasidim alike. Nevertheless, a moment arrives in which he cannot withstand “the flaming desire of the swooning soul, which longs to taste, in Lubavitch, the hasidic taste of an expiring soul … But how can he experience devekut, Hasidic soul ascent, when in that experience itself he feels his own fall? On this point, truthfully, he cannot respond to himself with a coherent answer.” 68 68 Schneersohn, Khayim gravitser, 520. בה רבו כוכב עם סרפד? Upon which a star fought with a thistle? My son!” 69 69 Avraham Shlonski, Meshirey hapruzdor ha’arukh (Ramat Gan: Sifrat Po’alim, 1968), 26. — This was in that effervescent period, the pioneer times, the good times. I lived in the sands near Tel Aviv, is some hole. From my window could be seen the headstones of an ancient cemetery. That day my brother came to me, from the Galil, and we decided: It will be a night of celebration for us this evening! (With a wide smile, true pride:) We are a Chabad family! We smash vessels, literally and figuratively. Nu, we sat and we sang, we danced, we drank, and lo, someone is approaching, pacing heavily through the sands. I recognized him immediately: Bialik! My brother and the rest of the party [disbelieved me, exclaiming] — “No!” Again we danced in an ecstatic circle dance (maḥol shel devekut), and my brother casually pulled Bialik into the midst of the ring, and he is panting and dancing, dancing and breathless. We all sat to drink a shot, and from one thing to another Bialik began to talk of the incarnation of melodies, the intonation of songs, of the fact that every song that comes to us, even the most un-jewish, becomes jewish, receiving the spice and finesse of “yiddishkayt”! And my brother, with the rest of the party who did not know the identity of the speaker, nodded their heads to one another, as if to say: Not bad! Not bad! Here is a run-of-the-mill Jew, unpretentious, bourgeois, and with such a mouth that drips pearls—amazing! 70 70 Raphael Bashan, “Ben hasidut Chabad udevekut be…mapam” Maariv, January 15, 1960 <http://jpress.org.il/Olive/APA/NLI_heb/SharedView.Article.aspx?href=MAR%2F1960%2F01%2F15&id=Ar01000&sk=68ABC2B3> (accessed November 15, 2017). Clearly this was an important moment for Shlonsky. The lengthy description of this episode is carefully orchestrated by the narrator, and the details are far from incidental. It is therefore particularly noteworthy that Shlonsky seems to deliberately contextualize his entire encounter with Bialik—and his subsequent entry into the uppermost stratum of Hebrew literary society—as something “casually pulled” into the idiosyncratic Hasidic dance that was the mainstay of his inner life. With soulful emotion I received your letter … and in my heart were resurrected memories of our days in Ekaterinoslav … And in my soul were renewed those hours of meeting and dialogue in your private room in Brooklyn a few years ago. Many echoes from that conversation rise up from the pages of my latest book of poetry, “From the Poems of the Long Corridor,” which I send to you today … 72 72 “Pegishah ben emunah vehashirah,” Maariv (March 25, 1977): 22 <http://jpress.org.il/olive/apa/nli_heb/SharedView.Article.aspx?href=MAR%2F1977%2F03%2F25&id=Ar02201&sk=D1114FAE> (accessed November 15, 2017). It is inevitable that the essence and the inner must rebel against its outer skin, which stands against it, and find expression by which to reveal itself. It is not so relevant whether you specifically intended this, but the opening of your collected works is [the poem] “Revelation” (hitgalut), “and the lad was serving G-d … speak, for your servant is listening,” 74 74 Following Shmuel I, 3:1 and 10. and only afterward comes the collection itself. It is my hope, as noted, that this is not incidental, and all the more so that it is not merely my own naive interpretation… 75 75Ibid.. This is a call for Shlonsky to “rebel” against his “outer skin” by serving and listening to G-d in the traditional sense, and thereby giving embodied revelation to his inner spirit. In other letters the Rebbe makes this more explicit. He was attuned to Shlonsky’s self understanding as a rebellious hasid, and sought to incite a fresh rebellion against what had by then become the new tradition of secular Jewish literary society. 76 76 See Rabbi Menachem Mendel Schneerson, Igrot Kodesh Vol. 26 (New York: Kehot Publication Society, 2006), 352-353, and further sources cited in Boruch Oberlander and Elkanah Shmotkin, Early Years: The formative years of the Rebbe, Rabbi Menachem M. Schneerson, as told by documents and archival data (Brooklyn, NY: Kehot Publication Society, 2016), 73. And the polemic of the secular and the celebration. And the doubts of whether to retreat or approach. Shall be determined by the tension of the bow. 77 77 Shlonski, Meshirey hapruzdor ha’arukh, 7. The particular path of the Jewish mystical experience leads out of the specificity of this one tradition, but it does so in a manner that compels walking the path repeatedly to find the way out. If one contemplates the possibility of following the path to get beyond the path definitively, then one is off the path and thus will never get beyond the path. To traverse the path of law one must travel the path of law. 78 78 Elliot R. Wolfson, Venturing Beyond: Law and Morality in Kabbalistic Mysticism (Oxford and New York: Oxford University Press, 2006), 262-263. This is a paradox that has animated Chabad from the outset, and whose synthesis, we have seen, is the telos of Gravitser’s journey too. The author of Likutei amarim—tanya, whose lyrical discourses were published in Likutei torah, also wrote Shulkhan arukh harav, an updated version of the Code of Jewish Law. We have already noted that his grandson, the Tsemakh Tsedek, is so named after the title of his halakhic responsa. Contemporary Chabad emissaries, or shlukhim, set themselves apart from other Jewish activists by their equally enthusiastic embrace of each person’s transcendent spirit, on the one hand, and of the circumscriptions of halakhic ritual, on the other. Yehoshua D. Levanon, “Motivim Chabadiyim be“hanidaḥ” lesh”i agnon,” in Bikoret uparashanut 16 (February 1981): 135-155. Mondshine routinely used the pseudonym “Levanon” for work intended for academic publications. Shmuel Yosef Agnon, Kol sipurav shel shmuel yosef agnon, Vol. 2, Elu ve’elu (Jerusalem: Schocken, 1998), 44. On the widespread attribution of this statement to R. Schneur Zalman of Liadi in Chabad sources see, most notably, R. Menachem Mendel Schneersohn (the Tsemakh Tsedek), “Shoresh mitsvat hatefilah,” Section 40, in Derekh mitsvotekhah (Revised Edition, Brooklyn, NY: Kehot Publication Society, 1991), 275 [138a]; R. Menachem Mendel Schneerson, Hayom yom (Brooklyn, NY: Kehot Publication Society, 1943), 113 (entry for the 18th of Kislev). See also Mondshine, “Motivim Chabadiyim,” notes 26 and 27. For more on the Hasidic influence on Agnon see Gedaliah Nigal, Shi”i agnon umekorotav haḥasidiyim: iyun be’arba’ah misipurav (Ramat Gan: The Kurzweil Institute, Bar Ilan University, 1983) [Hebrew]. Ken Frieden, “Neglected Origins of Modern Hebrew Prose: Hasidic and Maskilic Travel Narratives,” AJS Review 33(1) (2009), 3-6; idem., “Innovation by Translation: Yiddish and Hasidic Hebrew in Literary History,” in Justin Cammy et al (eds. ), Arguing the Modern Jewish Canon: Essays on Literature and Culture in Honor of Ruth R. Wisse (Cambridge, Mass. :Center for Jewish Studies, Harvard University, 2008), 417-425. Lily Kahn, A Grammar of the Eastern European Hasidic Hebrew Tale (Leiden and Boston: Brill, 2015), 4-7. Don Seeman and Shaul Magid, “ Mystical Poetics: The Jewish Mystical Text as Literature,” Prooftexts 29(3) (2009): 317-323. Don Seeman, “Apostasy, Grief, and Literary Practice in Chabad Hasidism,” Ibid., 398-432. Ora Wiskind-Elper, Hasidic Commentary on the Torah (London: The Littman Library of Jewish Civilization, 2018). Alyssa Masor, The Evolution of the Literary Neo-Hasid (PhD thesis, Columbia University, 2011), Chapter 4. We should note, however, that Masor only deals with parts one, two, and three of the novel, and not with the fourth part, which is not readily available in the original Yiddish. 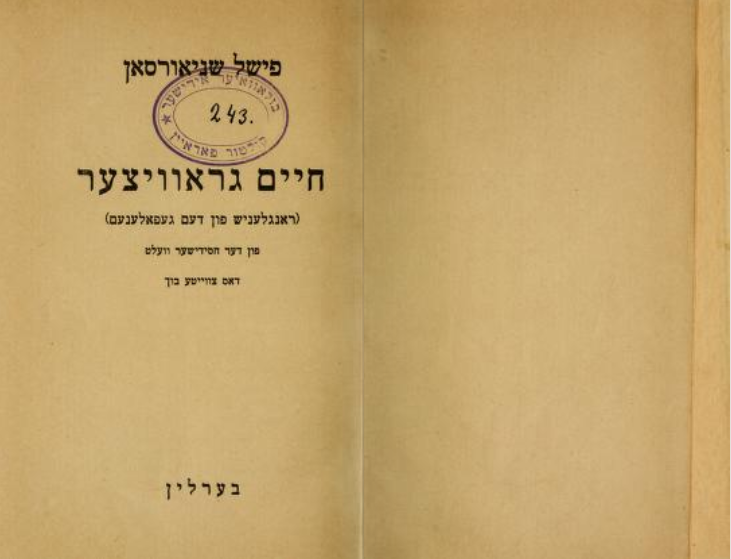 The first iteration of Khayim gravitser was published in Berlin in 1922, in separate Yiddish and German editions. But it only included the first of its four parts. The second and third parts were published in 1926, also in Berlin. The fourth part was serialized in the New York paper Der morgen zhurnal in the years 1937 and 1938, but was never compiled into a single volume. Some parts, including the epilogue, remain in manuscript and have never been published in their original Yiddish form. The Hebrew translation was serialized in the Tel Aviv paper Hatsopheh, in the years 1938-40, and published in its complete form as a single volume in 1940, 1956 and 2013. For the sake of convenience all references in this paper will be to the 2013 edition, accept for longer excerpts where I include and cite the original Yiddish. Other than these exceptions my translations are also primarily based on the Hebrew edition. For the most part the differences between the Hebrew and the Yiddish are more stylistic than substantive. Nicham Ross, “I. L. Peretz’s “Between Two Mountains”: Neo-Hasidism and Jewish Literary Modernity,” in Modern Jewish Literature: Intersections and Boundaries, eds. Sheila E. Jelen, Michael P. Kramer, L. Scott Lerner (Philadelphia: University of Pennsylvania Press, 2011), 104. Masor, Evolution, vi. On the related evolution of Michael Levi Rodkinson from Hasid to neo-Hasid, and from neo-hasid to maskil, see Jonatan Meir, Literary Hasidism: The Life and Works of Michael Levi Rodkinson, trans. Jeffrey G. Amshalem (Syracuse: Syracuse University Press, 2016). See Khayim Meir Heilman, Bet rabi (Berditchev, 1902), Part 1, Chapter 26; Louis Jacobs, Tract on Ecstasy (London: Vallentine Mitchell, 1963); Idem., Seeker of Unity: The Life and Works of Aharon of Starosselje (London: Vallentine Mitchell, 1966); Naftali Loewenthal, Communicating the Infinite: The Emergence of the Chabad School (Chicago: The University of Chicago Press, 1990), 100-138, and 167-174 and 195. See also Rachel Elior, The Paradoxical Ascent to G-d: The Kabbalistic Theosophy of Chabad Hasidism (Albany, NY: SUNY Press, 1993). For biographical details see Heilman, Bet rabi, Part 3; Tzvi M. Rabinowicz ed., The Encyclopedia of Hasidism (Jason Aronson Inc., 1996), 429; Shalom Dov Ber Levine, Toldot Chabad berusyah hatsarit (Kehot Publication Society, 2010),107-155; Ilia Lurie, Edah umedinah: ḥasidut Chabad be’imperiyah harusit, 5588-5643 (Jerusalem: Magnes Press, 2006). See Heilman, Ibid., Part 2, Chapter 6, Note 2; Rabbi Menachem Mendel Schneerson, Reshimot hayoman (New York: Kehot Publication Society, 2006), 198, note 1. See Eli Rubin, “'The Pen Shall Be Your Friend': Intertextuality, Intersociality, and the Cosmos - Examples of the Tzemach Tzedek’s Way in the Development of Chabad Chassidic Thought,” Chabad.org <chabad.org/3286179> (accessed November 15, 2017). On intertextuality in kabbalistic literature more generally, see Daniel Abrams, Kabbalistic Manuscripts and Textual Theory: Methodologies of Textual Scholarship and Editorial Practice in the Study of Jewish Mysticism (Magnes Press / Cherub Press, Jerusalem, 2nd edition 2013). See Nochum Grunwald, “Hashitot vehashit’tiyut bederushei rabeinu hazaken: Hagdarat vesivug shel shitot vede’ot bemerḥavei ketavav shel admor hazaken bemishnat hatsemaḥ tsedek,” in Harav, ed. Nochum Grunwald (Mechon Harav, 2015), 573-586. Cf. Ariel Roth, “Reshimu—maḥloket ḥasidut lubavits vekopust,” Kabbalah 30 (2013): 243, n. 122; Schwartz, Maḥshevet Chabad, 158-186. Heilman, Bet rabi, Part 3, Chapter 8. For more on the sons of the Tsemakh Tsedek, their tenures of leadership, and their successors, see the series of articles by Amram Blau, published in the Heikhal habesht journal, issues 16-23. See also Albert Kaganovich, The Long Life and Swift Death of Jewish Rechista (Madison: The University of Wisconsin Press, 2013), 160-161. Kaganovich’s gratuitous and self-admittedly “grotesque” comparison of internal Chabad historiography to Leninism is belayed by the work of Blau, and overlooks the fact that one of the primary transmitters of Chabad history, the author of the authoritative Bet Rabi, was allegiant to the Kopust branch of Chabad rather than that of Lubavitch. The present discussion of the hemshekh is largely a restatement of arguments developed in Eli Rubin, “Hemshekh Vekakhah Ha-gadol: Treading the Path of Redemption, Unveiling the Face of Effacement,” Part 1, Chabad.org <Chabad.org/3646993> (accessed November 15, 2017). Also see R. Menachem Mendel Schneerson, Torat menachem hitvaaduyot 5746, Vol. 1 (Lahak, 1990), 163-165; Idem., Torat menachem hitvaaduyot 5750, Vol. 1 (Lahak, 1990), 113-114; Naftali Loewenthal, ““The Thickening of the Light”: The Kabbalisitc-Hasidic Teachings of Rabbi Shalom DovBer of Lubavitch in Their Social Context” in Jonatan Meir and Gadi Sagiv (eds. ), Chabad Hasidism: History, Thought, Image (The Zalman Shazar Center: Jerusalem, 2016), 10*-13*. Published as Likutei torah—torat shmuel, shaar revi’iy, vekakhah—5637 (Brooklyn, NY: Kehot Publication Society, 1945); Likutei torah—torat shmuel, shaar teshah asar, sefer 5637 Vol. 2, vekakhah—5637 (Brooklyn, NY: Kehot Publication Society, 2013). Schneersohn, Khayim gravitser, 121 and 545. On the motif of walking in Hasidic teachings more generally see Elliot Wolfson, “Walking as a Sacred Duty: Theological Transformation of Social Reality in Early Hasidism,” in Hasidism Reappraised, ed. Ada Rapoport-Albert (London: The Littman Library of Jewish Civilization, 1997), 180-207. See Schneersohn, Khayim gravitser, 20, n. 6: “Many Hasidim had the ability to grasp the rebbe’s mamarim and to transcribe the teachings that they heard in writing. These transcripts were called “hanaḥot,” and thereby the rebbe’s mamar would be circulated in various hanaḥot. The Chabad mamarim and anecdotes that are integrated into our story, are reworked based on our personal transcripts.” See also Masor, “The Evolution of the Literary Neo-Hasid,” 233: “The rebbe’s maymarim (sic) in the first volume… sound convincingly like real maymarim.” The editor of the 2013 edition of Khayim gravitser, Natanel Lederberg, has also identified some specific mamarim that may have served as sources, but more research needs to be done to scrutinize these possibilities and to better understand specific lines of textual transmission and how Schneersohn used his textual sources. We must also bear in mind that Chabad mamarim were transcribed, copied and repeated in many iterations, and that far more material is available from the Lubavitch line of Chabad than from the Kopust line of which Schneersohn was a descendant. 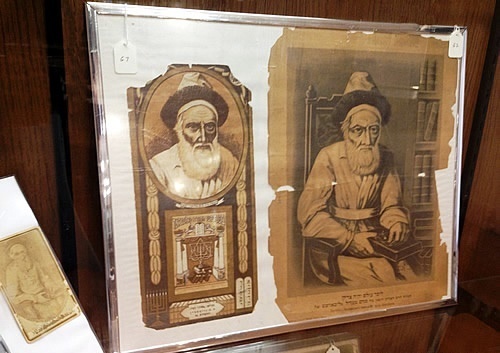 On Chabad’s nineteenth-century manuscript culture see Israel Sandman, “Chabad's 19th Century Manuscript Boom,” Chabad.org <Chabad.org/3949906> (accessed July 30, 2018). For the locus classicus see R. Schneur Zalman of Liadi, “Shaar hayiḥud veha’emunah,” in idem., Likutei amarim tanya (Vilna: The Widow and Brothers Romm, 1900 / Brooklyn: Kehot Publication Society, 1956), 76b-81b [152-162]. Variations of this statement appear in Midrash Tanchuma, Bechukotai 3 and Nasso 16, and in Bereishit Rabbah 3. See R. Schneur Zalman of Liadi, Likutei amarim tanya, Chapter 36, 45b-46b [90-92]. For further discussion of the development of this midrashic notion in Chabad thought see Nochum Grunwald, “Dirah betaḥtonim kemusag uketorah iyunit” in Harav, 506-562; Eli Rubin, “Intimacy in the Place of Otherness,” Chabad.org <Chabad.org/2893106> (accessed July 30, 2018). On the centrality of such dialectics in early Chabad thought see Rachel Elior, The Paradoxical Ascent to God: The Kabbalistic Theosophy of Chabad Hasidism, trans. Jeffrey M. Green (Albany, NY: SUNY Press, 1993), 33-5. Cf. Yoram Jacobson, “Bimevokhei ha’ayin ubemevukhat hayesh,” Qiryat Sefer 68 (1998): 231. For a more comprehensive and nuanced discussion of the body as the means through which one transcends the limitations of the body see Elliot Wolfson, Open Secret: Postmessianic Messianism and the Mystical Revision of Menahem Mendel Schneerson (Columbia University Press, 2009), 143-150. On the Weberian concept of “innerworldly mysticism” and its manifestation in Hasidism, see Philip Wexler, Mystical Sociology: Towards Cosmic Social Theory (New York: Peter Lang, 2013), 157–158. As cited in Yehoshuah Mondshine, Migdal oz (Kfar CChabad: Machon Lubavitch, 1974), 173. See Rashi’s commentary to Leviticus, 1:9 and Numbers 28:8. Rabbi Shmuel Schneersohn, Likutei torah—torat shmuel, shaar teshah asar, sefer 5637 vol. 2, vekakhah—5637 (Brooklyn, NY: Kehot Publication Society, 2013), Section 12, 412-413 . Khayim gravitser, 61. In the original Yiddish this appears in Volume 1, page 68. For more on Gravitser’s fall and his drunken dance in the tavern, see Masor, Evolution, 219, 221, and 226-229. Schneersohn, Khayim gravitser, 161. In the original Yiddish this appears in Volume 2, pages 100-101. Ibid., 93. In the original Yiddish this appears in Volume 1, page 112. Masor, Evolution, iii, vii and 200-207. See the relevant discussion and citations in Netanel Lederberg, “Aḥrit davar: haderekh el ha’adam,” in Schneersohn, Khayim gravitser, 571-2. R. Yosef Yitsḥak Schneersohn, Sefer hasiḥot - 5689 (Brooklyn, NY: Kehot Publication Society, 2010), 27. The mixture of Hebrew and Yiddish in this text reflects the hybridity inherent in the textual transcription of the oral word, as in European rabbinic culture these two languages are generally used for writing and speech respectively. For Schneersohn’s explicit musings on the spiritual qualities of other personifications of this “wholesome simplicity,” in addition to Leah, who are encountered by his title character see Khayim gravitser, 554-5. Ibid., 561-562. 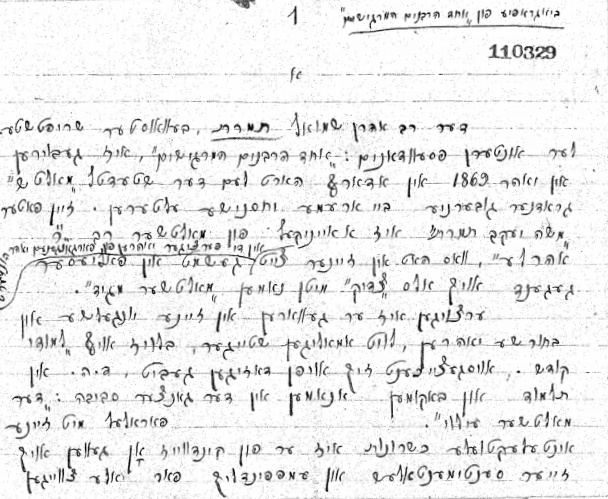 This segment has not previously been published in the Yiddish original, and I am grateful to Ri J. Turner who found the Yiddish manuscript of the last two chapters and the epilogue in Schneersohn’s archive at Tel Aviv University and generously shared them with me. For the locus classicus on this doctrine in Chabad thought see R. Schneur Zalman of Liadi, Likutei amarim tanya, Chapters 26-9, 32b-38a [64-75]. For further discussion see Naftali Loewenthal, “The Ethics of Joy,” Chabad.org, <Chabad.org/2219688>, esp. from time code 16:19 and on (accessed August 1, 2018). See Rina Lapidus, “‘Yivgeni oneigin’ shel aleksander pushkin betargumo shel avraham shlonsky,” Jerusalem Studies in Hebrew Literature (2006): 253-70. Avraham Shlonsky, “Some thoughts on the art of translation,” trans. Mickey Yudkin, Jewish Quarterly, 18 (1970): 2-6. Noami Brenner, “A Multilingual Modernist: Avraham Shlonsky between Hebrew and Yiddish,” Comparative Literature 61, no. 4: 367-387. On Shlonsky’s early life and relationship with his Schneersohn cousins see Hagit Halperin, “Ben rambam le-buknin,” Moznaim, Vol. No. 8 (2000): 7-11 [Hebrew]. For some discussions of the dialectic between religion and secularism in his poetry see Herbert Bronstein, “The Prayers of a Secular Poet,” The Journal of Religion 50(4) (Oct., 1970): 386-407; Ari Ofengenden, “‘Days Will Come and They Will Demand an Account. What Will I Give? ": The Dynamics of Secularization in Abraham Shlonsky’s Writings,” Hebrew Studies 51 (2010): 329–350. For a more general discussion see Shachar Pinsker, ““Never Will I Hear The Sweet Voice Of God”: Religiosity and Mysticism In Modern Hebrew Poetry” Prooftexts 30(1) (Winter 2010): 128-146. See Haim O. Rechnitzer, “From Honolulu via Mt. Gilboa to Tel Aviv: the Rise and Fall of Shlonsky's Messianic Halutz,” Hebrew Studies 55 (2014): 261–284; Idem., “When Joseph met Zuleika – the theo-political underpinning of Joseph in Shlonsky's early poetry and its critique of the halutz ethos” Journal of Modern Jewish Studies, 15:3 (2016): 504-519. Rechnitzer does argue that more attention should be paid to Hasidic sources, but in applying this argument tends to focus on secondary sources, most of which deal with the teachings of Rabbi Aharon Ha-levi Horowitz of Strashelye, an important figure in the 2nd generation of Chabad, which are only of very general relevance to Shlonsky’s engagement with Chabad. See "Pegishah ben emunah vehashirah,” Maariv (March 25, 1977): 22. <http://jpress.org.il/olive/apa/nli_heb/SharedView.Article.aspx?href=MAR%2F1977%2F03%2F25&id=Ar02201&sk=D1114FAE> (accessed November 15, 2017); Yonatan Shlonsky, “Harabbi milubavits veavraham shlonsky—kesher meyuḥad” Higayon beshigayon (accessed November 15, 2017). Avraham Shlonsky, “Dor bli don kikhotim,” in Yalkut eshel: tseror ma'amarim u-reshimot, (Tel Aviv: Sifriyat Po'alim, 1960), 42-45. As cited in Ari Ofengenden, “Days Will Come,” 333-334; Idem., Abraham Shlonsky: An Introduction to His Poetry (Berlin and Boston: De Gruyter, 2014), 67-68. Ibid., 120. In the original Yiddish this appears in Volume 2, page 43. Avraham Shlonsky, “Dor bli don kikhotim.” On Gravitser as a rebel see Masor, Evolution, 219, 232, and 246. Avraham Shlonski, “Maḥana’im: Bet. Mum u’metom,” Torim, July 1933. As cited in Ari Ofengenden, “Days Will Come,” 336; Idem., Abraham Shlonsky: An Introduction to His Poetry (Berlin and Boston: De Gruyter, 2014), 72-73. Ibid., 235. In the original Yiddish this appears in Volume 2, pages 203-4. Also see Masor, Evolution, 222. As cited in Yehoshuah Mondshine, Migdal oz, 173. Avraham Shlonski, Meshirey hapruzdor ha’arukh (Ramat Gan: Sifrat Po’alim, 1968), 26. Raphael Bashan, “Ben hasidut Chabad udevekut be...mapam” Maariv, January 15, 1960 <http://jpress.org.il/Olive/APA/NLI_heb/SharedView.Article.aspx?href=MAR%2F1960%2F01%2F15&id=Ar01000&sk=68ABC2B3> (accessed November 15, 2017). In a letter from Zvi Meir Steinmetz (Tzvi Ya’ir) to Shlonsky he notes that “a few weeks before her passing [in 1964] Rebbetzin Chana told me of your visit to her…” See Mordechai Menashe Laufer, “Hitkatvut meyuḥedet bemitsvat harabi,” Hitkashrut #820 (April 2010): <http://www.cChabad.org.il/Magazines/Article.asp?ArticleID=6726&CategoryID=1385> (accessed November 16, 2017). “Pegishah ben emunah vehashirah,” Maariv (March 25, 1977): 22 <http://jpress.org.il/olive/apa/nli_heb/SharedView.Article.aspx?href=MAR%2F1977%2F03%2F25&id=Ar02201&sk=D1114FAE> (accessed November 15, 2017). Following Shmuel I, 3:1 and 10. See Rabbi Menachem Mendel Schneerson, Igrot Kodesh Vol. 26 (New York: Kehot Publication Society, 2006), 352-353, and further sources cited in Boruch Oberlander and Elkanah Shmotkin, Early Years: The formative years of the Rebbe, Rabbi Menachem M. Schneerson, as told by documents and archival data (Brooklyn, NY: Kehot Publication Society, 2016), 73. Shlonski, Meshirey hapruzdor ha’arukh, 7. Elliot R. Wolfson, Venturing Beyond: Law and Morality in Kabbalistic Mysticism (Oxford and New York: Oxford University Press, 2006), 262-263. Rubin, Eli. “Traveling and Traversing Chabad’s Literary Paths: From Likutei torah to Khayim gravitser and Beyond.” In geveb, October 2018: https://ingeveb.org/articles/traveling-and-traversing-chabads-literary-paths-from-likutei-torah-to-khayim-gravitser-and-beyond. Rubin, Eli. “Traveling and Traversing Chabad’s Literary Paths: From Likutei torah to Khayim gravitser and Beyond.” In geveb (October 2018): Accessed Apr 21, 2019.